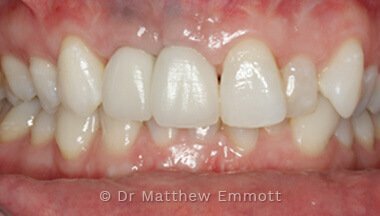 This form of restoring the upper and/or lower arch is carried out by creating a 12 to 14 teeth PFM bridge that is then fixed to 4, 6 or 8 implants depending on the individual case, and which arch is in question (the lower arch generally requires less implants than the upper). 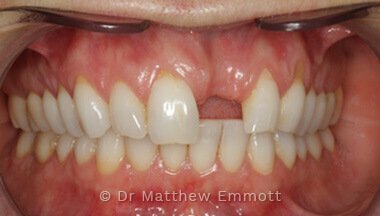 Case Study: A patient who had previously had all upper arch teeth removed and the arch restored with a full removable denture, which was uncomfortable and non-functional. 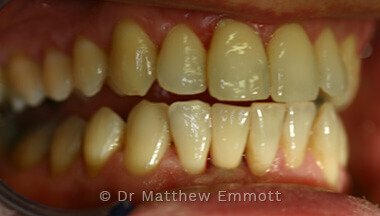 Following a clinical assessment the patient was rehabilitated with PFM bridgework of 12 teeth fixed to six dental implants. 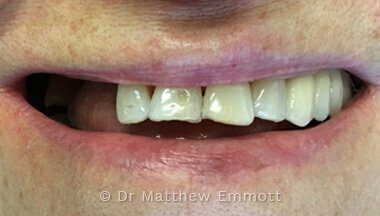 The patient had good bone quality throughout the upper arch and bone augmentation was not required. 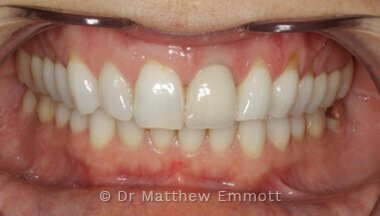 The treatment was completed in nine appointments over a 20 week period, paying a complete fee of £16000.00 This fee included clinical assessment £110.00 which was refunded on completion of treatment, all implant components, surgery and the final bridgework. Clinical assessment with appropriate x-rays. 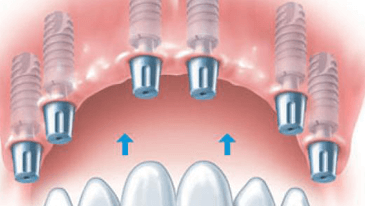 Implant placement to the upper and/or lower arch. Impressions for construction of the upper and/or lower arch bridgework. Bite registration for the upper and/or lower arch bridgework. Try-In of the upper and/or lower arch bridgework. Final fitting of the upper and/or lower arch bridgework. 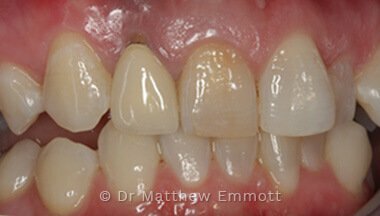 Once full arch implant rehabilitation has been completed meticulous oral hygiene is required in all cases. This includes excellent home hygiene with a good quality electric toothbrush or manual tooth brush, inter-dental brushes, dental floss, high quality mouthwash and oral irrigators. 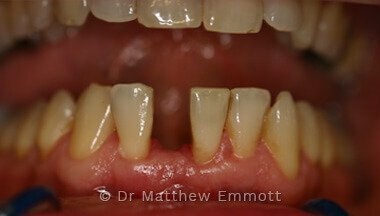 Additionally regular visits to a dental hygienist are required. (Regularity of visits will be advised by the clinician). You will also need to return for review appointments six months after treatment has been completed and then periodically as recommended by your implantologist. Payment for treatment is on a 'pay as you go' basis. At each appointment you would pay for the treatment carried out, we do not ask for treatment to be paid in advance. 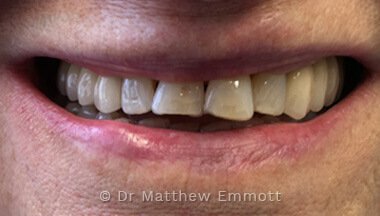 Sometimes a dental implant patient may have low quality or not enough bone depth/width to successfully place the implant or multiple implants. 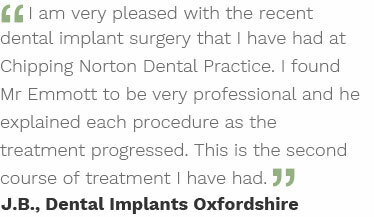 When this happens our dental implants dentist in Oxfordshire is very experienced in all forms of bone regeneration, soft tissue grafting, block bone grafting and sinus lift procedures. Book an appointment with our friendly team today.